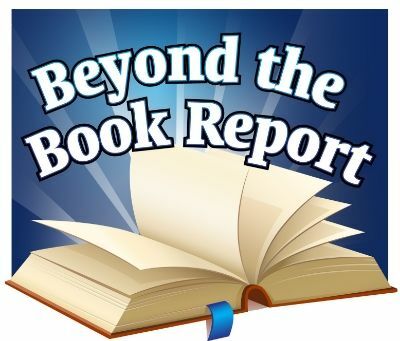 I have recently been able to review Beyond the Book Report, which is a new curriculum put out by Analytical Grammar. It is designed for grades 6-8. There are 3 Beyond the Book Report “seasons”. With each season, you receive a teacher’s guide that lays it out for you day by day and a dvd with lessons for your child to watch, along with printable worksheets, vocabulary sheets, and assignments. I was very happy with the Teacher’s Guide. Sometimes when you get a Teacher’s Guide, it leaves a lot up to interpretation. I think they do that to give the parent flexibility and I appreciate that, but if I am new to the curriculum, I really want to know how the developers think it should be used. They accomplished this very well with Beyond the Book Report. Obviously, with a curriculum based around reading, you won’t be “teaching” your child every day. There are some days (or many days) that your child will just simply be reading the assigned book. The Teacher’s Guide tells you what you and your child should be doing on each “teaching day”, noting that, of course, those teaching days will not necessarily be consecutive. I have not been the typical homeschool mom that assigns book reports to my kids. I really wanted them to gain a love of reading and I didn’t think that would be accomplished by making them write about everything they read. I like that this program is geared towards middle school and early high school aged kids. I think that by that time, hopefully the love of reading is already there and they can begin the not so fun part of reading… book reports. Bottom line is that in high school and college they are going to have to write reports. Depending on the career they choose, they will also have to write reports in their job. Not necessarily book reports, but the same basic skills are required. Season 1 starts with the basics. The first thing that will be asked of your child is to pick a book, read it, and write a basic book report. Of course, how to do all of that successfully is gone over completely on the dvd. While reading the book, there are a couple of assignments that have to be completed, along with the actual book report due at the end. One thing I really liked is the sheet that forced my daughter to plan out her time. She had to figure out how many days she had before the report was due and using that and the number of pages in the book, she had to determine how many pages she needed to read each day in order to get her report done on time. This is a great skill to learn! Also on Season 1, your child will learn how to write a pamphlet book report and a journalism book report. In Season 2, we move into poetry and drama to prepare your child for the more classic works of literature they will read in high school. There are a couple of neat games and activities to make poetry learning a bit more fun. I would have liked that when I was in school. I wasn’t a big fan of the way my teachers taught poetry. The way the drama lessons are taught is great, in my opinion, because it doesn’t cause your child to have to read Shakespeare and want to pull her hair out! Finally, in Season 3, your child learns the ever popular art of essays, oral reports and research papers. As with the first 2 Seasons, the dvd lessons and teacher’s guide are quite detailed and really, are all you need to teach these skills. This Season is the longest season, but with the skills it’s teaching, you can probably see why. There are example schedules included with the Seasons (and online so you know before buying) that give you an idea of when to do each season based on what grade your child is in when you start the program. You can take 3 years to do it if you start in 6th or 7th grade, 2 years if you start in 8th or 9th and you can also fast track it if your child is in 10th grade or above and you are just now finding this curriculum. On all of the dvd’s, the teacher instructs your child on vocabulary related to the content. In Season 1, the student learns about protagonists and antagonists, in Season 2, alliteration and metaphor, and in Season 3, thesis statement and brainstorming. I have really appreciated the content in this program and I’m thankful I’ve been able to use it. I look forward to my children learning all the aspects of this program as they proceed in their schooling! What is it? Beyond the Book Report – A program with 3 “seasons”, each concentrating on a different aspect of book report writing.